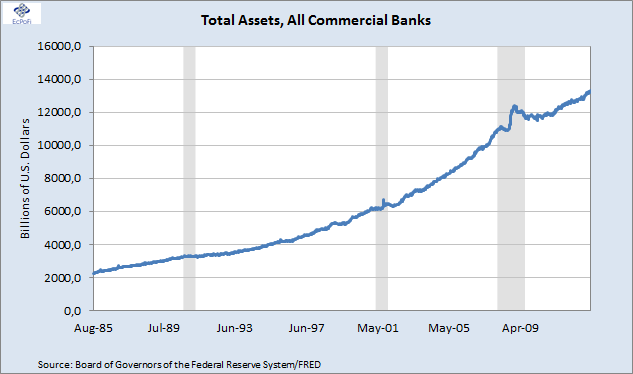 Cash asset balances for U.S. banks ended the week (13 March) on $1.9313 trillion to hit a new record high driven by significant increases in excess reserves caused by Fed purchases. 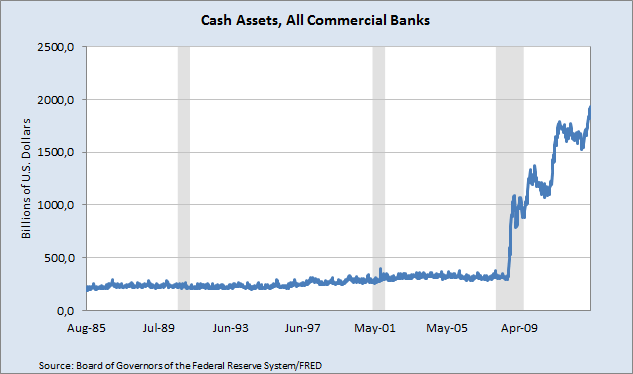 At the same time, cash assets in percent of total assets hit a new record high of 14.48%, more than double the average since 1985 of 6.61%. 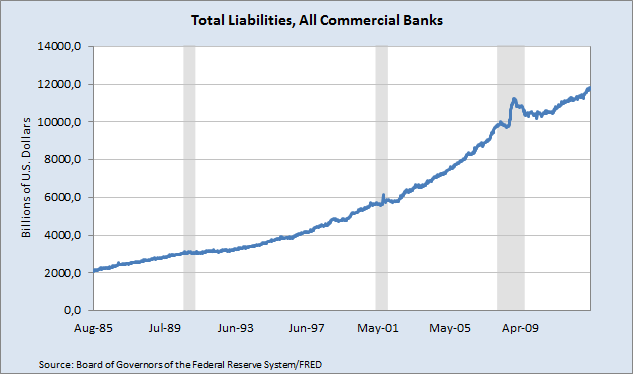 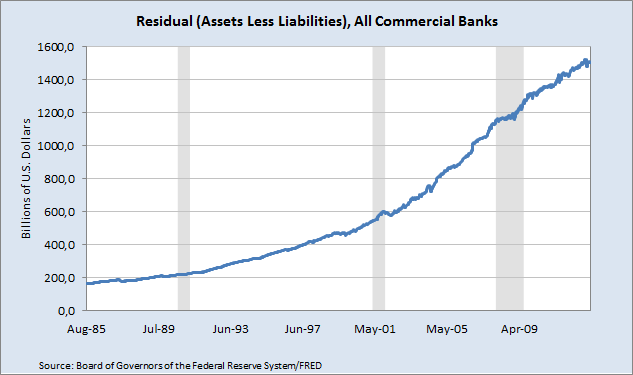 Net assets ("Residual") in percent of total assets ended the week on 11.27%, lower than the record 11.79% reported for the week ending 24 October 2012 as total liabilities increased more than total assets during this period. 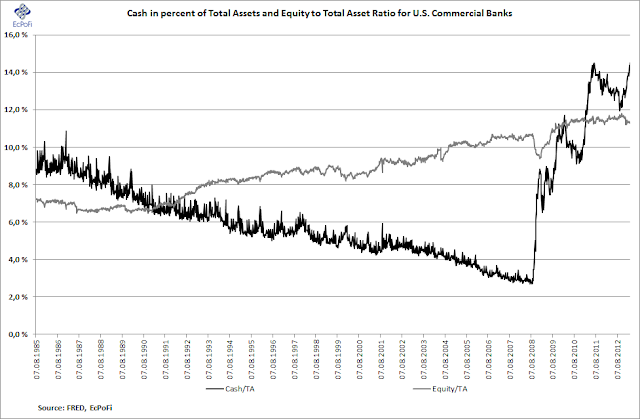 This compares to an average net asset to total asset ratio of 8.86% since 1985.